Who was he – Dr. Jekyll or Mr. Hyde? For sure, he was both! He was fun loving, friendly, and kind but he was also deceitful, spiteful, and cruel. He was gentle, polite, and unassuming but he was also violent, ruthless, and dangerous. He would change from “Mr. Nice Guy” to “Mr. Villain” in a flash and there was no telling when the transition would take place. McCoy always carried a roll of money with him and he was likely to show up any place at any time. He liked good times, jokes, and women. They liked him too. Playwright Maurice Maeterlinck wrote that he was the “Handsomest human on earth”. He married eight times, three times to the same woman (see McCallum, 1975, p 192). Every so often a boxer comes along who seems to anticipate his opponents’ every move – Nonpareil Jack Dempsey, Jim Corbett, Jack Johnson, Gene Tunney, and Muhammad Ali were such men. They handled men easily – regardless of size or skill. Kid McCoy belongs with this group. Andre and Fleischer (1975, p 207) described McCoy as “the wily corkscrew artist, a cagey, clever battler." Odd (1983, pp 83 84) called McCoy a “cunning and skillful boxer”. Jim Corbett said he was “a marvel, a genius of scientific fighting” (see McCallum, 1975, p 190). Fast hands, fast feet, shifty, slippery, crafty, and clever - that was the Kid. It didn’t matter much what the other man’s style or ability was. Any advantage seemed to melt away once McCoy began to pepper him with jabs and come home with brisk, snappy shots – with either fist. Philadelphia Jack O’Brien said McCoy was “vicious, fast, and almost impossible to beat” (see McCallum, 1975, p 190). When his cruel streak surfaced (which was often), he would butcher his opponents excessively with his ripping, slicing type of punches. In many a fight, when he had his man staggering around and nearly out on his feet, instead of finishing him off, the Kid would suddenly change tactics and dance around his man cutting him up with his “corkscrew” punches. 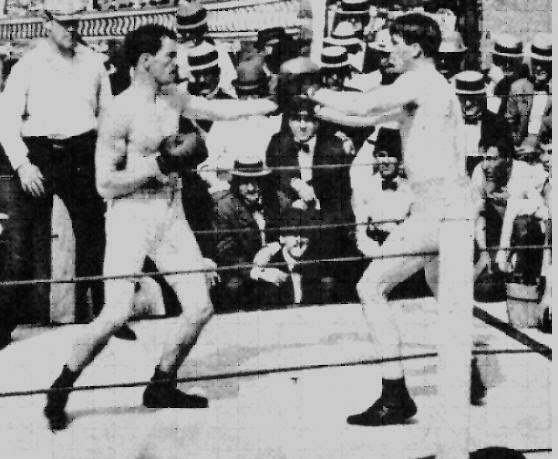 According to McCallum (1975, p 191) “The Kid had marvelous speed and elusiveness, besides his tricks and the cruel, cutting power of his punches.” Cantwell (1971, p 42) reported that after fighting McCoy, Jack Wilkes’ face “resembled a raw beefsteak.” He added (p 46), against Tommy West, McCoy cut loose and had West bleeding and groggy as he floored him six times. 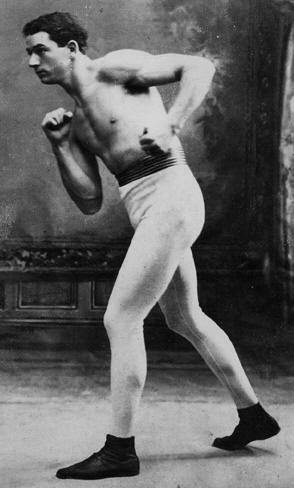 McCoy held a grudge against Tommy Ryan, the great champion, for battering him around in a practice session as a young sparring partner. He swore to get even some day – and he did. An interesting story surrounds McCoy’s fight with Tom Sharkey. In the old days, when no films of an opponent were available for study, fighters often hired men who had sparred with or fought against their upcoming foe. 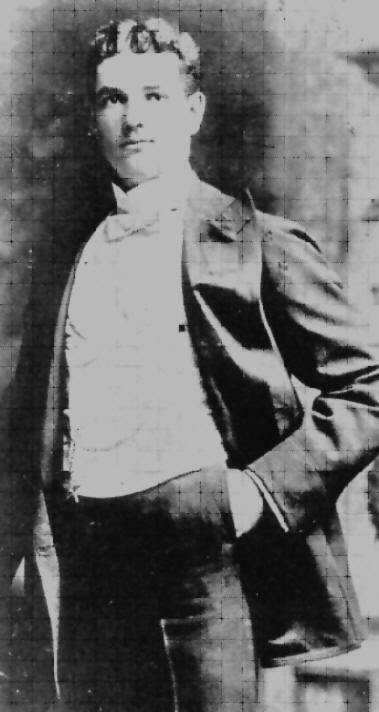 McCoy and his entourage kidnapped big Bob Armstrong, who was a frequent sparring partner of “Sailor Tom”, and took him prisoner to McCoy’s camp to find out about Sharkey’s strengths and weaknesses. Armstrong was so angered by this act that he fed McCoy incorrect information. 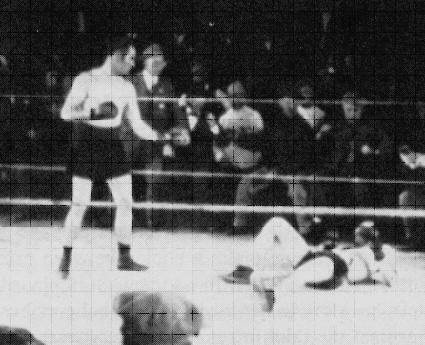 The result was that McCoy lost his bout against Sharkey. 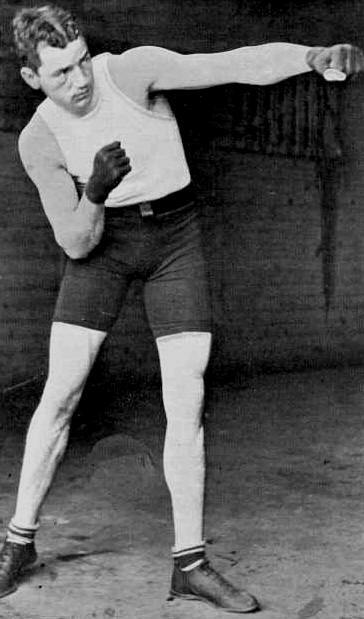 In the opinion of this writer, McCoy was the among the greatest fighters of all time in three divisions – the #3 Welterweight, the #7 Middleweight, the #7 Light-Heavyweight. He was also one of the all-time best “Pound-for-Pound” boxers who ever entered the ring.